Hope you can join us this week for a super fun event! Thursday in our Hermosa Shop, and Friday in our Manhattan Shop! We’ll have hats and bags, and all the trims you need to create your very own custom piece. Hats and Bags will be $98 each. And this year we have a limited amount of hats for little girls too! They fit sizes 3 to 6 years, and are $58 each. Nothing cuter than a mommy and her matching mini. 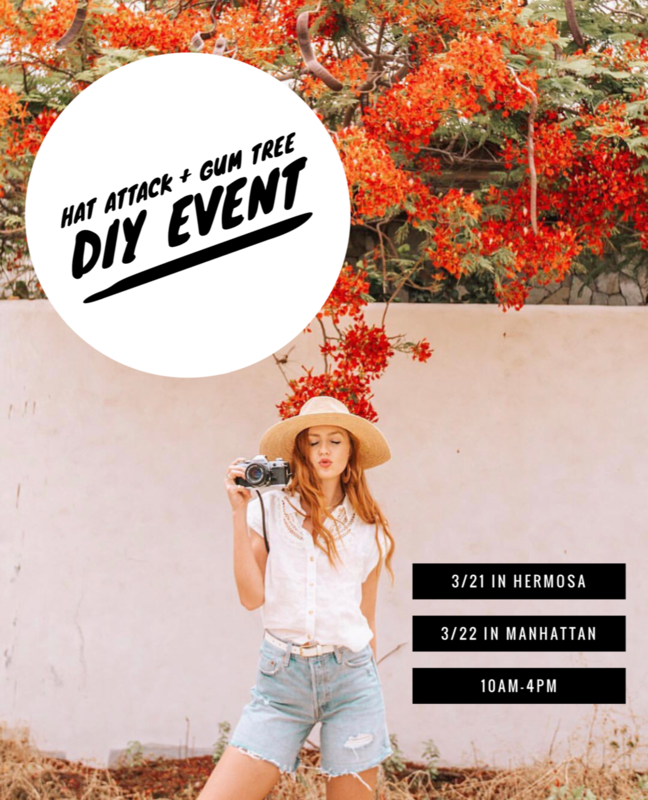 FYI…before we opened Gum Tree I worked for Hat Attack in product development and design for almost 8 years! So this will be a blast for me to go back to my roots and get creative with all of you. I’ll be there both days to help you create your perfect piece. And, it’s just in time for spring break!